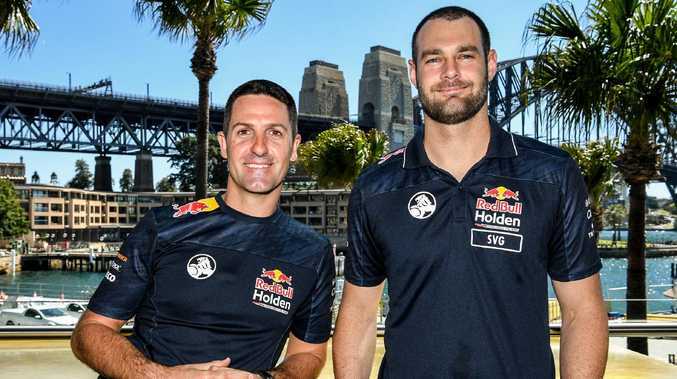 SUPERCARS gun Jamie Whincup is refusing to give up on back-to-back championships and says he will not sacrifice race wins for teammate Shane van Gisbergen. Whincup will hit the streets of Surfers Paradise at this weekend's Gold Coast 600 needing to claw back a 404-point lead from his Triple Eight teammate to remain in the title hunt. Whincup's defence of his seventh championship started strongly before a mid-year lull thrust him behind the eight ball, leaving him in third spot with three rounds remaining. A loose wheel at Bathurst earlier this month relegated Whincup to a 10th-placed finish and further crushed his dreams of an eighth Supercars title. But the Red Bull Holden heavyweight will not go down without a fight or surrender race wins to help van Gisbergen claim a second championship. "I'm a long way back now, it's going to be a tall order to get back and be a realistic chance going into the last round," Whincup said. "I never say die, don't worry about that. I'm not giving up. I will be flat stick until the last lap of the last race. "It's been a tough year as far as championship points go. We've lost a few. There’s no motorsport track quite like the Gold Coast 600 street circuit. Picture: Brendan Radke. "There have been two big moments. The wheel at Bathurst and the gearbox at Adelaide in round one where we were leading the race. "It's not just mechanical failures. I made a couple of critical errors in the middle of the year and lost a heap of points. "We (van Gisbergen and I) will race it out and race hard. I certainly won't be making any lunges on him and taking him out, that's for sure." Whincup's seventh title last year further cemented the Gold Coaster's standing as the most successful championship driver in the sport's history. It would take a monumental effort for Whincup (2872 points) to mow down van Gisbergen (3276) and Scott McLaughlin (3257) in the back end of the year. 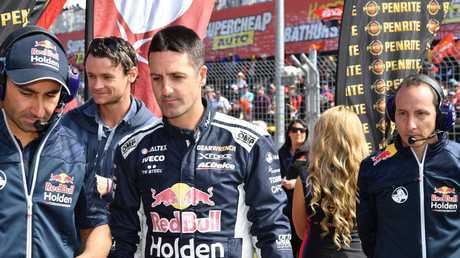 A naturally aggressive driver, Whincup said he wouldn't need to alter his style at a track where he has won eight races before. "I do that anyway," Whincup said. "Even if I was leading I'd be going out there swinging. There is no change. "We've been fast and competitive this year. We've won some races and been going hard. "We've just lost a lot of points in some big races which has really hurt us. "If you don't qualify well at Gold Coast it's hard to make up spots. "It's a crazy, challenging track and one of my favourites. It's unbelievably difficult to get it all right for the full 600km. "It's all part of the challenge and adds to the good times if it does go your way." Whincup, 35, has had a series of unfortunate events at Bathurst over the past five years, ranging from running out of fuel to being slapped with race penalties. Losing a wheel this year was up there with the most bizarre of his Bathurst moments but Whincup refused to blame anyone for the error which cost Triple Eight $5000 and dented his championship hopes. "There's no finger pointing - we win and lose as a team," he said. 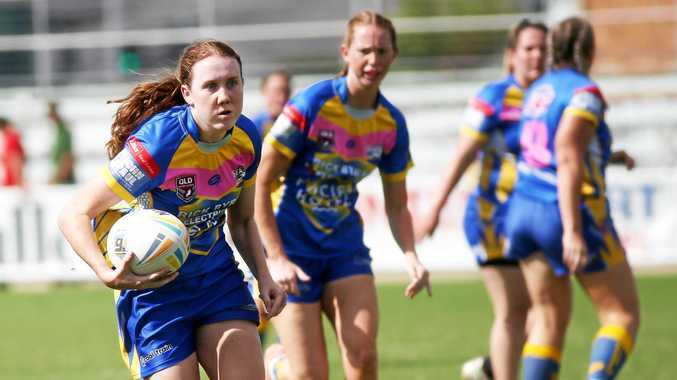 "Everyone there was giving it absolutely everything they had to get a result. We didn't get the result we were after but we still finished in the top 10. "There is always someone better off and someone worse off. It's a hard race. I drive one car of 26. "There are 25 stories about why they didn't win the race and one story about winning the race. We're one of the 25." 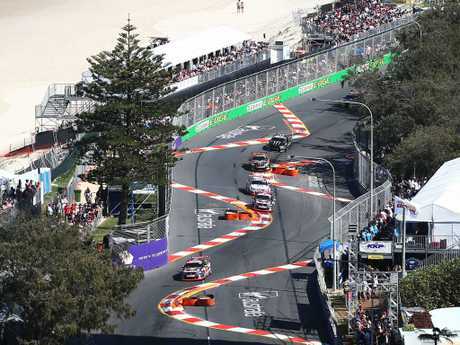 Practice for the GC600 begins Friday with 300km races to be contested on Saturday and Sunday.